The Concrete Filled Steel Tubular (CFST) system is a composite material system which employs the various advantages of different materials and combines them together in a steel tube column which is filled-in with concrete. The purposes of using hemp fiber reinforced polymer (HFRP) materials are i) High Strength to Weight ratio ii) Better durability in worst environment. HFRP bonded structures have less cost. It increases load carrying capacity and improves stiffness and buckling behaviour of structure. In this project, Tubular Sections filled with Concrete are strengthened with Hemp Fibre Reinforced Polymer. HFRP is used as a Strengthening Material. CFST member is an innovative idea, in which a steel element acts together with a concrete element, so that both elements resist the axial and flexural loads. HFRP materials have already been proven to have superior resistance to corrosion and chemical attacks. CFST systems have a number of distinct advantages over equivalent steel, reinforced concrete, or steel - reinforced concrete columns. It has been expected that the confined CFST (CCFST) system can be an excellent remedy for the problems of the conventional CFST system by providing additional transverse confinement for the composite materials. As a result, the CFST system with the HFRP confinement will become a simple solution to change the mechanical behaviour of CFST in order to enhance its strength, ductility and remedy for deformability without significant strength reduction in composite materials. The experiment is carried out to study the use of HFRP laminates to strengthen the CFST has a significant effect on the overall behaviour of CFST such as enhancement on its strength and ductility. The Hemp fibre Polymer strengthened concrete filled tubular sections are tested for both Compression and tension strength to study the effect CFST. Saravanan S M, Sivaraja M. "Hemp Fibre Reinforced Polymer Strengthened Tubular Sections." 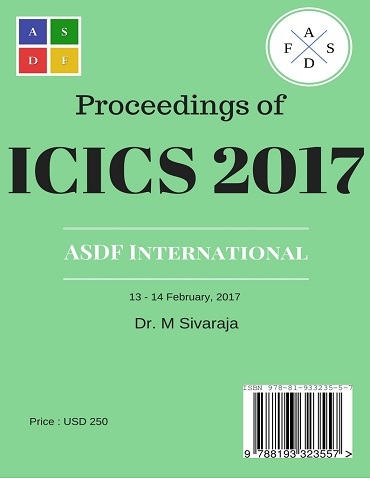 International Conference on Intelligent Computing and Systems (2017): 09. Print.